Dream Theater fans desperate for a taste of A Dramatic Turn Of Events need look no further! The video above contains an exclusive clip of the fourth track on the new album, This Is The Life, for your listening pleasure. To find out more about the song from John Petrucci himself, check out our exclusive track-by-track album preview interview with the virtuoso guitarist. Special thanks to our friends at Roadrunner UK. 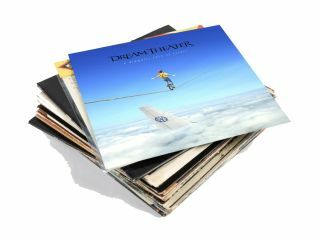 Surf in their direction for news on more exclusive Dream Theater preview clips.